Doberman Pinschers are among the most common of pet breeds, and the breed is well known as an intelligent, alert, and loyal companion dog. Although once commonly used as guard dogs or police dogs, this is less common today. 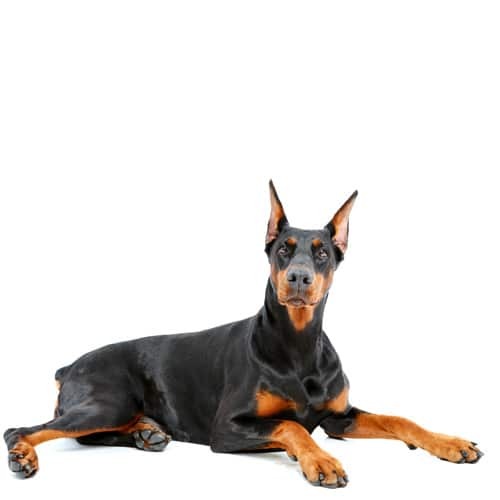 In many countries, Doberman Pinschers are often one of the most recognizable breeds, in part because of their actual roles in society, and in part because of media attention. Recent careful breeding has greatly improved the disposition of this breed, and the modern Doberman Pinscher is an energetic and lively breed suitable for companionship and family life. Although many Dobermans have been outdoor dogs, they are best suited to live indoors. The Doberman is a dog of large size. Although the breed standards vary among kennel and breed clubs, the dog typically stands between 66 to 72 cm, 69 being ideal, the female is typically somewhere between 61 to 68 cm, 64 being ideal. 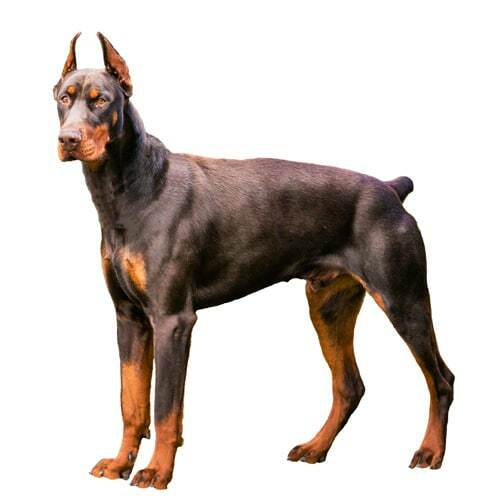 The Doberman has a square frame: its length should equal its height to the withers, and the length of its head, neck and legs should be in proportion to its body. European lines, particularly those from the former Yugoslavia and former Soviet Union, tend to be larger than those in North America.